Landscape photograph of the inflow of Conn Creek into the Lake Hennessey Reservoir in Napa California. 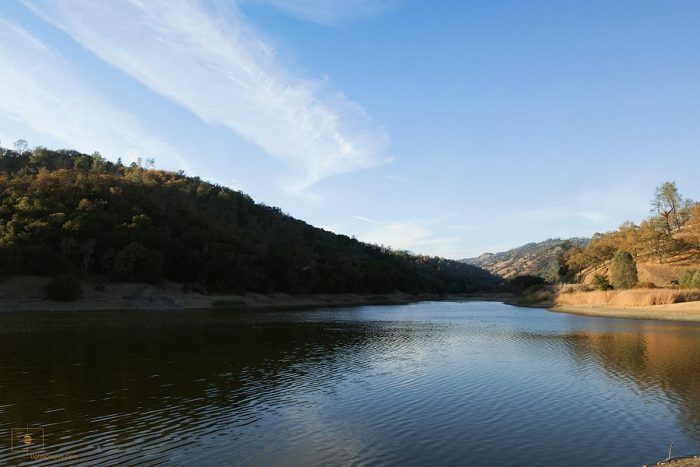 Built shortly after World War II to control flooding in the region, the lake provides the primary source of water to the city of Napa in the famous wire region. Chromatic contrasts between the area’s predominant dusty tan and sage green foliage and the blue of the sky and water symbolizes the relationship of the great agricultural valley. Delicate clouds gestures against the pale sky blues echo the landforms of the center and right of the image.